Winner of two bronze medals at the 1948 summer Olympic Games in London, in the team pursuit and 1000m time trial, as well as coming third in the 1,000m at the British Empire Games in 1950. 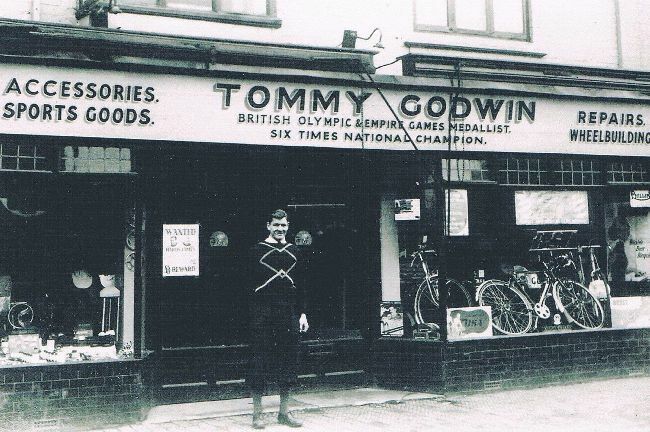 Tommy Godwin was born in 1920 in Connecticut, USA, to British parents. The family returned to Britain in 1932. He became interested in cycling because of the 1936 Olympics and was inspired by Arie van Vliet a 1000m time trial rider and British Amateur Champion W.M. Maxfield. Godwin began racing 3 years later and rode the fastest 1000m of the season at the Alexander Sports Ground. He was invited to trials in the Midlands to find riders for the next Olympics despite not having won a race. Godwin was an apprentice electrician in a reserved occupation during the war, working for the BSA in Birmingham. There was little competitive riding and he rode at only 13 meetings between 1940 and the end of 1942. The change in war fortunes meant more sport in Britain from 1943 and Godwin was unbeaten in five mile scratch events and won the Cattlow Trophy in 1943 and in 1944.He repeated this success in 1945 adding a 25 mile title which he retained in 1946. In 1949 he won the 4000m event. 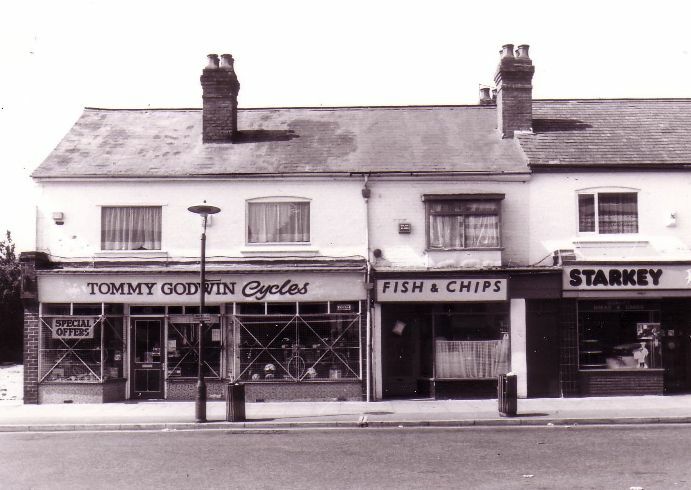 Tommy worked for BSA from 1936  1950 and ran his own cycle shop from 1950 in Silver Street, Kings Heath for 36 years. He was an ambassador for the 2012 Olympics in London and was selected to participate in the Olympic Torch relay carrying the torch for 300 meters through Solihull. He died 3rd November 2012 aged 91.